The Japanese National Stadium, the Kokuritsu Kasumigaoka Rikujo Kyogijo, doesn't really have the iconic ring of "Wembley", "Stade de France" or "The Rose Bowl". And it's finally been decided that it's time to go. Opened in 1958 it hosted the Asian Games that year followed by the Olympics in 1964. And after that it's been a little quiet. In 2002 when the World Cup was held in Japan, not a single game was held in the capital city. The stadium being deemed simply not up to the job. So a week ago it held its last game; a Japan vs Hong Kong Rugby match. Japan took the game 49 - 8 and thirty thousand people appeared to have turned up as empty seats. Last week though was the closing ceremony. A permanent finale pending demolition next year followed by the construction of the awesome new Zaha Hadid designed creation in time for the Rugby World Cup in 2019 and Olympics in 2020. 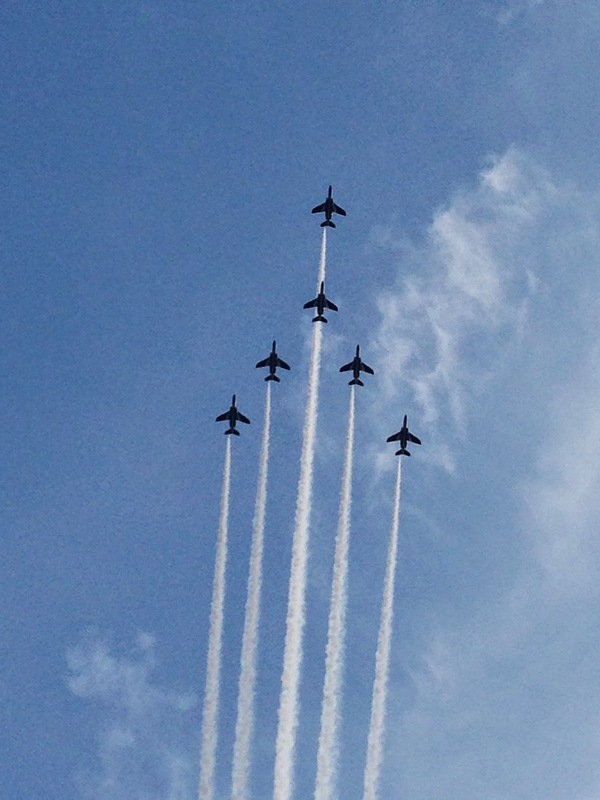 The highlight of the ceremony was an honour salute from six jets from the Japanese Air Force. The sight was impressive and the flight path took the planes directly over Shibuya where I live. It wasn't that well publicised though so many missed a rare sight of fighter jets over Tokyo. It's been a while as it were. And many others thought China had arrived. Look out Japan, I've arrived!